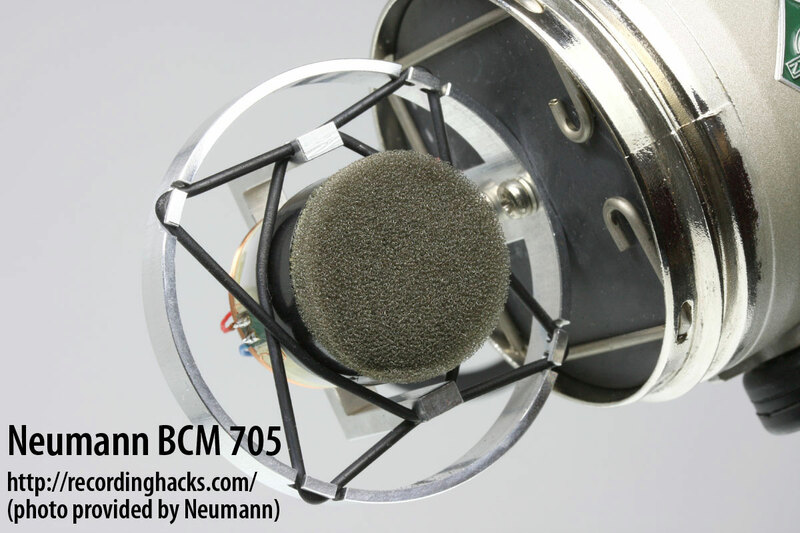 The BCM 705 is a hypercardioid dynamic microphone intended for broadcast use. It is Neumann’s first dynamic microphone. With its low sensitivity of 1.7mV/Pa and relatively high self-noise of 18dBA, the microphone would best be used with a low-noise, high-gain preamp. 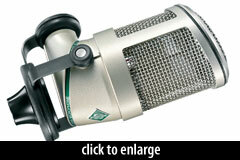 The mic features a twist-off removable headgrille that is compatible with the BCM 104 condenser microphone. Neumann offers these headgrilles as accessories in numerous colors, allowing the staff at a broadcast facility to more easily track personal headgrilles, for reasons of hygiene (or perhaps personal style). The hypercardioid capsule is shockmounted within the oversize headbasket via a network of elastic bands. 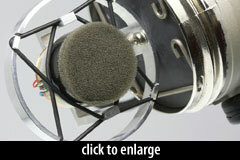 In use, the capsule is surrounded by a metal-mesh pop filter that can be easily removed for cleaning. Presumably because the microphone is intended to be used with an articulated boom arm, the mic’s built-in yoke mount does not swivel. In the absence of of an external rotating or swiveling mount, the BCM 705 is remarkably difficult to position. For example, it is all but impossible to put the face of the mic flush against a speaker cabinet grille when using a floor stand. The capsule’s polar pattern varies with frequency. 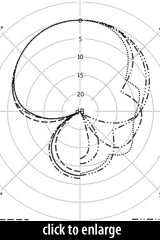 It is essentially hypercardioid below 1kHz, but with a narrowing of on-axis sensitivity above 2kHz and changes in the off-axis response that are most easily understood after careful examination of the graph at right. I wound up really digging this mic in front of any electric instrument I threw at it. 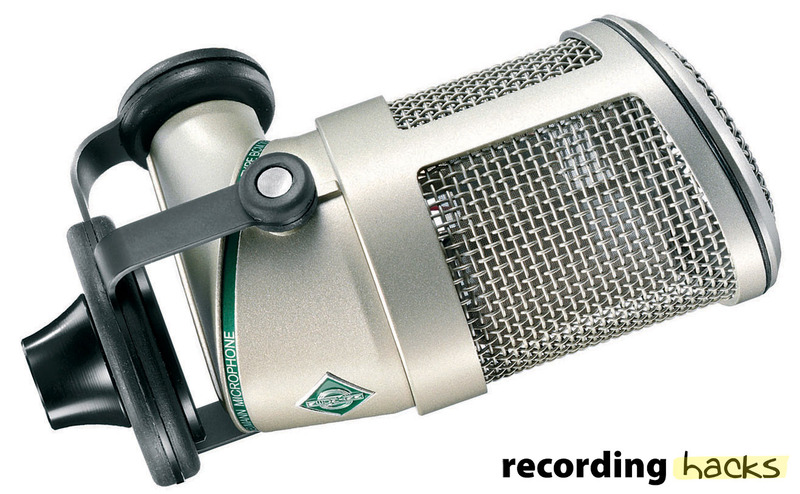 This is a dynamic mic fully worthy of the Neumann badge. I am not letting this mic go out the door. 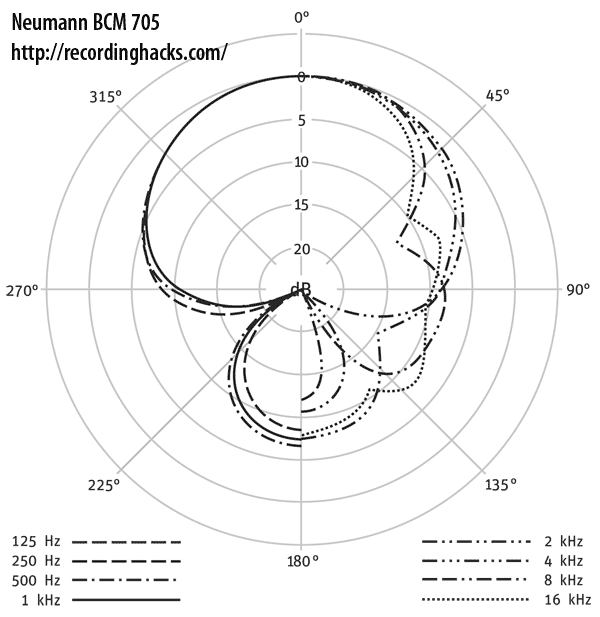 The BCM 705 had a sound characteristic somewhere between that of the Electro-Voice RE20 and that of the [Neumann BCM 104] condenser; there was not a pronounced low-frequency build-up and thus it sounds less rich on the low end than the RE-20 or the BCM 104. It had high frequency content much like the condenser, but noticeably better than that of the RE-20. In my opinion, it provides a realistic and pleasing reproduction of one’s voice.